My wife asked me why I offered this girl a peep. I replied "I like snakes that will eat anything and not be stuck on one type of food". She's under a year old and has taken pre-killed mice, ASF's and rats. 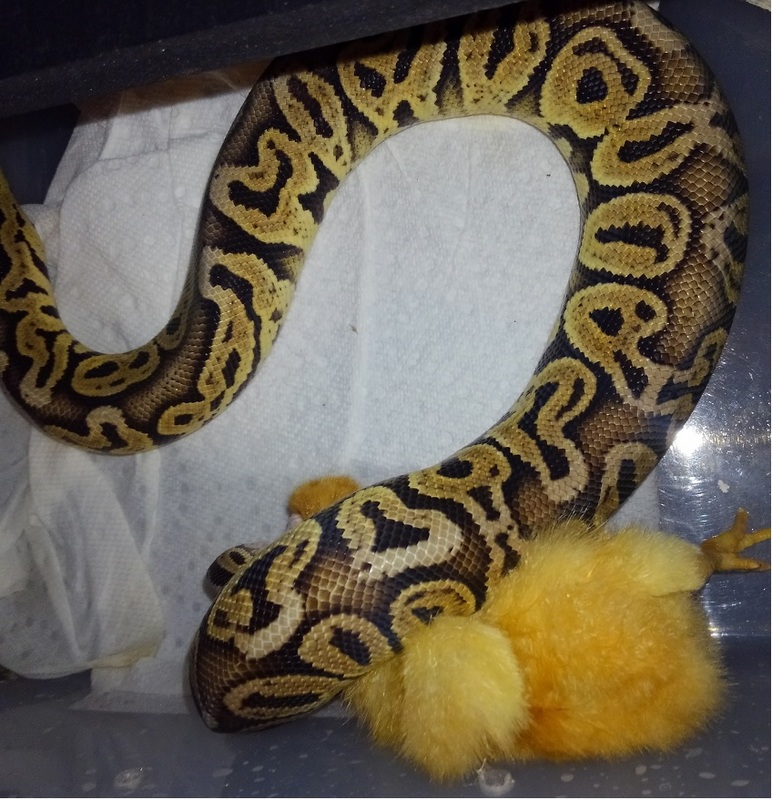 She has also taken frozen thawed mice, ASF's, rats and now a peep. Nice looking BP! I'm with you temp. I like to feed my animals a diverse diet too. All of them will eat mice, rats, asfs and chicks. I have to be careful with the Bredli though. If I give him a mouse he'll sometimes refuse rats for months. I gave my young boa his first chick last week too and he didn't hesitate for a second before snatching it from the tongs. I'm hoping to throw some rabbits in the mix too when I can find some that are reasonably priced. very nice! that's a major stress reliever right there! did your wife enjoy watching? It was done in private behind closed doors and she only found out about it after the fact. Good thing there was a paper towel handy, that could get messy. I knew I shouldn't have clicked on this thread. She is a pewter, so I think that is cinnamon and pastel.